North Ringwood Football Club dual Premiership Coach and player Brett Moyle and his company, Home Loan Saint are new Major Sponsors for season 2017 through to (at least) 2019, and will have seniors jumper logo rights for that period. This is fantastic news for our Club, to see a former coach and player put his hard-earned money up to support the Club he loves. Brett has been heavily involved with the North Ringwood Football Club since becoming senior coach in 2010, a role he held for 6 years. In that period, he took the Saints from EFL Division 3 to Division 1, collecting 2 Premiership Cups along the way (Division 3 in 2012, and Division 2 in 2014). Brett has been rewarded with numerous “Coach Of The Year” awards during his tenure at North, and was selected as Coach of the EFL Division 1 Interleague Team of 2016. At the completion of the 2015 season Brett was bestowed with North Ringwood Football Club Life Membership for his extraordinary efforts and achievements. He is still extremely passionate about the North Ringwood Saints, and is now a Major Sponsor with Home Loan Saint proudly making a 3-year commitment as a significant financial contributor to the club. Brett and his wife Jill are looking forward being involved in and contributing to the progression of the club. It is fantastic to see that a guy who is already a legend at Saintland put his money up to support his beloved Saints. Please read more detail below on Brett & Jill’s desire to support our Club. Home Loan Saint is a family owned and operated Mortgage Broking business established by Managing Director Brett Moyle in 2010. Brett has been working in the mortgage industry since early 2005. Brett successfully completed a Bachelor of Commerce degree whilst managing the demands of playing professional sport. Since concluding his AFL career, Brett has gained experience in the mortgage industry, previously with allBanx (2005-2006) and then with Elite Strategies (2006-2009) before he established his own mortgage broking company Home Loan Saint. Brett is an Accredited Mortgage Consultant of the Mortgage and Finance Association of Australia – the peak industry body. Facilitating and structuring investment loans. Refinancing of current home loans to ensure the client is receiving the most appropriate loan product on the market. A hands on and caring approach with first home buyers. Brett has been heavily involved with the North Ringwood Football Club since becoming senior coach in 2010, a role he held for 6 years. He is a life member and extremely passionate about the North Ringwood Saints. 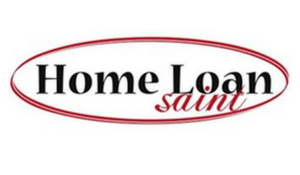 Home Loan Saint has proudly made a 3 year commitment as a significant financial contributor to the club. Brett and his wife Jill are looking forward being involved and contributing to the progression of the club.